More and more games these days are making the jump from iOS to Android so that people can enjoy all the same gems in both places. The problem is usually how long the adaptation takes, and Mr Jump is the perfect example. This title was a hit last year on iOS. Its arrival to Android hasn’t sparked as much fanfare, but we’re looking at a game developed with meticulous attention to detail. And malice. Lots of malice. 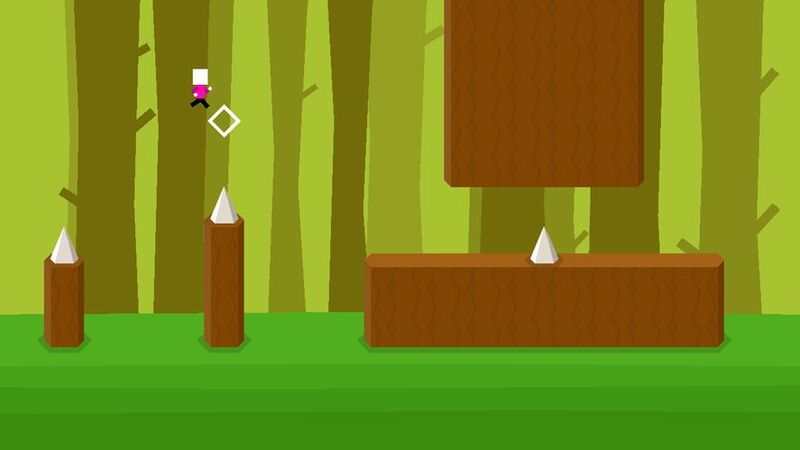 Mr Jump is one of those game that makes you want to pull your hair out. 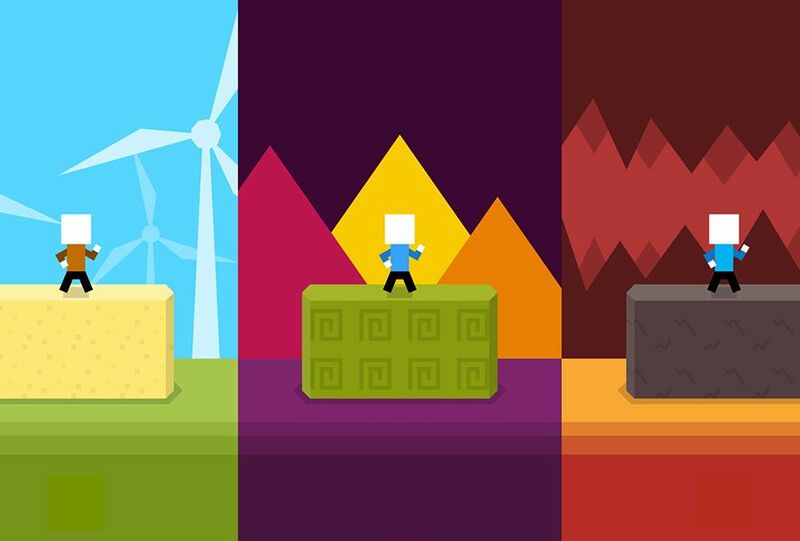 This minimalist platformer is controlled with taps to the screen that make you jump. Your character moves from left to right just like on any horizontal endless runner, but in this case the levels are finite. In those levels the teensiest mistake spells defeat – and sends you right back to the start. In this title developed by 1Button you have to calibrate your jumps down to the last millimeter. How far your character jumps depends on how much you tap the screen, which is sure to fray your nerves on more than one occasion. Remember Flappy Bird? Oh, yeah, I member. 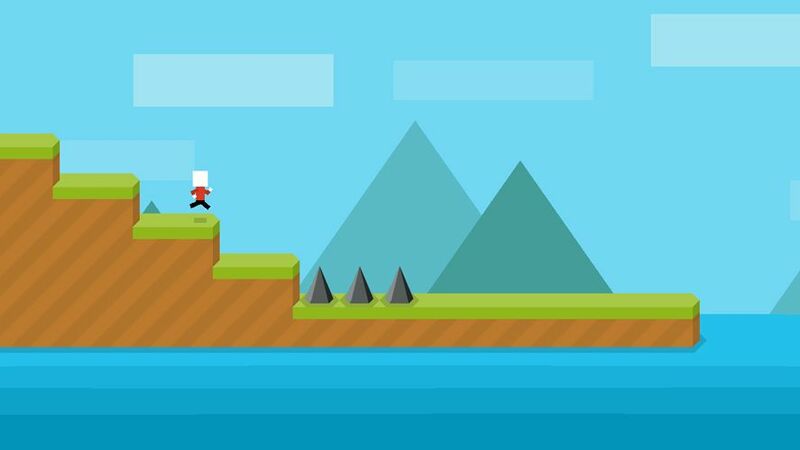 Mr Jump has 24 levels and if you’re not skilled enough you’ll have play each of them over and over till you make it to the end. To err is human and here that’s part of the learning process. But once you’ve gotten the hang of a level it won’t take more than a minute to play. The phases are short but intense. The screen you see most is the data one that appears every time you die. It contains interesting stats about your attempts to survive: the percent of the level you’ve completed, the number of times you’ve tried to beat it, and the number of jumps you’ve made. These numbers are sure to encourage you to tap that screen again to make your umpteenth attempt while telling yourself, “Definitely got it this time!” But no, probably not. Plus you can share your statistical shame on your social networks if you fancy. Mr Jump is quite the gift for masochists. Its retro difficulty is sure to get you into tight spots, but the fact that it’s so easy to restart the level hooks you over and over until you finally manage to beat that screen. Its minimalism is perfect to ensure that you focus on what’s important: correctly calculating how much to tap the screen for each jump you make. Plus every now and then new levels get added to keep torturing yourself with.